Look at the two opposing conferencing solutions in the title of this blog post, and then try to answer the following questions about them. 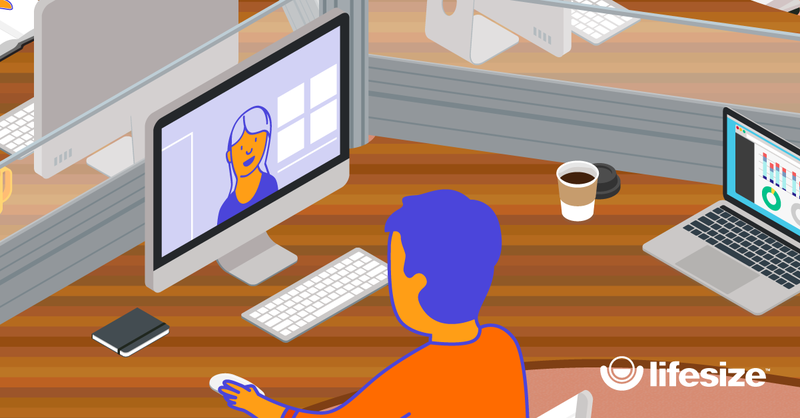 Are web conferencing and video conferencing the same thing? If not, what are the differences? Is one better than the other for use in business meetings? Chances are good that, unless you’re very familiar with both products, you might not be able to succinctly answer these questions. But chances are also good that if you’re visiting this blog, it’s because you’re thinking about deploying a new solution and you want to find the best collaboration solution for businesses. 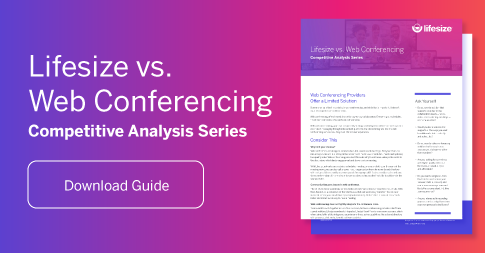 Both web and video conferencing solutions take the traditional voice-only conference call and attempt to create a more engaging and productive experience —an upgrade to multiway communication. As you probably know, the words you use account for just a small portion of the content of your message. Web conferencing was designed as an upgraded audio bridge with pictures. It made it possible to share presentations with audio participants located around the globe, and its features, like recording and presenter video, make it great for dissemination of information from few to many. It can still be used for smaller meetings, but it really lacks the nimbleness that today’s savvy user has come to expect with collaboration tools. Video conferencing, on the other hand, gives everyone a seat and a face at the meeting and is intentionally designed around collaboration. 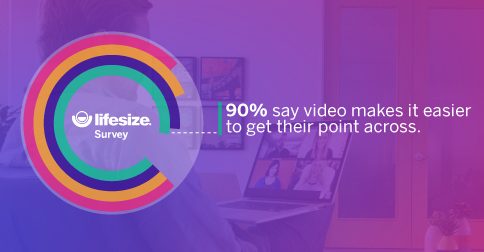 In a survey we conducted with our user base, we actually found that 89% of remote employees feel that video helps them feel more connected to their colleagues. The best solutions focus on enabling communication in all of the different ways people meet — both direct calls and scheduled meetings in virtual meeting rooms, on any device and in multiple languages. Conference rooms and huddle rooms can be set up with video systems that can connect to other conference rooms and to remote users on laptops, tablets and smartphones. Participants can share their screens with the group and can dial in via an audio bridge if video isn’t convenient to them at that moment. Simply put, if the meeting matters and collaboration is important, you’ll definitely want to look for high-definition image and audio quality that video conferencing can provide. With features like screen sharing, a centralized admin console, directory-based calling, the ability to stream and record your meetings and a series of ultra high quality video conference room systems, Lifesize provides a feature-rich solution based on the absolute importance of face-to-face communication. 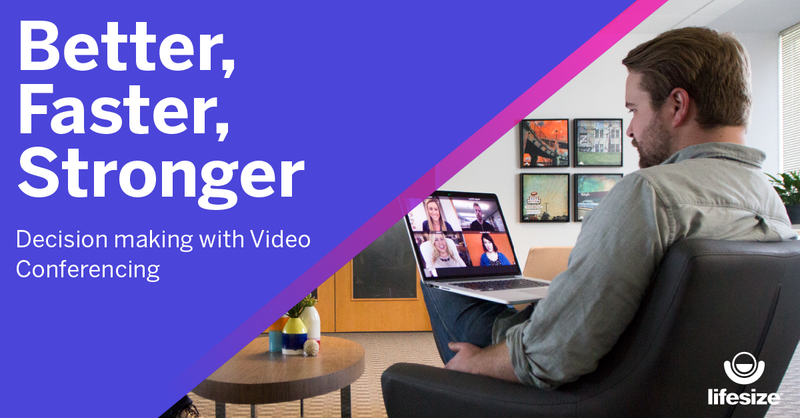 Want to learn more about how video meetings can enable your entire organization with face-to-face communication and easy collaboration? Check out our competitive analysis on "Lifesize vs. Web Conferencing."